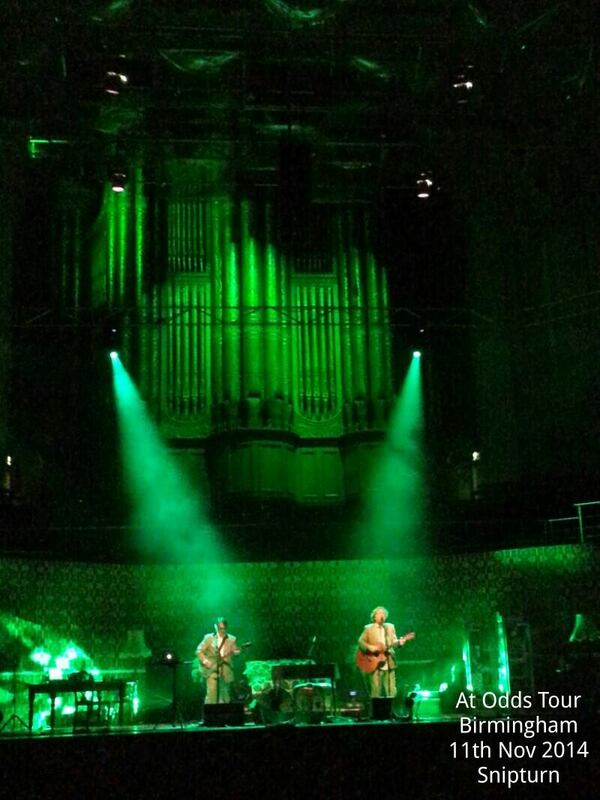 One Response to "Difford and Tilbrook – 11 November 2014 – live at Birmingham Town Hall"
The stage was laid out like an apartment with tables, chairs and a double bed. In the bed were Chris and Glenn and they proceeded to perform the first number, Take Me I’m Yours, wearing pyjamas and slippers. ”If someone had told me then that 40 years later I’d be at Birmingham Town Hall performing in my pyjamas I’d never had believed them,” joked Chris.